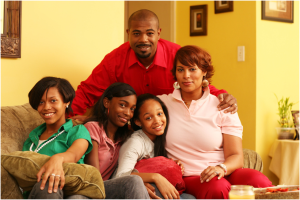 Your family can start 2014 the right way with a healthier and happier outlook on life. Having a positive attitude towards the new year will create upbeat energy that the whole family will share and put everyone in a good mood. The beginning of a new year is the time to start off fresh by trying new things and doing your best to raise a healthy, happy family. Sleepingbaby.com founders Brett and Stephanie Parker want to keep spirits high in 2014 while they continue to have fun together as a family. Here are 12 ways your family can stay healthy and happy this year; choose one way each month to gradually introduce change. 1. Set New Year’s Resolutions: By setting up a New Year’s resolution – or even a few of them — as a family, you are showing your family how to create goals for themselves and how to achieve those goals. A resolution to get active or to spend more time with each other will bring you closer together as you support and encourage one another to follow through with your resolution. 2. Healthy Sleep: Most families know that healthy sleep is the foundation of any balanced home. When babies and toddlers don’t get enough sleep, they get cranky and put stress on the entire family. Sleepingbaby.com’s Zipadee-Zip sleep garment for babies and toddlers is an ideal sleep solution for babies and toddlers because it keeps them feeling safe, secure, and warm while allowing them to stretch out for comfort. It’s also the perfect solution to transition baby from swaddling which can be a very trying time for parents. For help with sleep training your child, visit the Family Sleep Institute website to find a certified child sleep consultant near you. 3. Go Green: It’s important for families to do their part in taking care of the environment and it saves money too! Parents can opt to buy organic kids products, buy locally grown food, and buy eco-friendly cleaning products like those from the Rockin’ Green cleaning products brand. Families can also try to use the car less often, wash dishes by hand, and line dry clothes in order to save energy. 4. Eat Clean: Getting healthier starts with eating healthier as a family. Your kids may not want to eat their fruits and veggies, but you can try making them yummy fruit smoothies (they will never know that there is kale in there!). Also encourage your kids to try new foods by having them help you cook. When kids know that they’ve contributed to the meal they will be more likely to at least try some of it. 5. Get Movin’: An active family is a happy family! Start by taking walks together as a family or going to the park to play ball. You can even play right in your backyard instead of sitting around watching TV at home. Another good idea is planning vacations with fun activities that the whole family can participate in like swimming, biking, hiking, or dancing. Plus, when you are busy with active activities, TV or movie time will be more of a treat. 6. Family Vacation: Set aside some time to plan a getaway for the whole family to relax and have fun, even if it’s only for one weekend. If your family is on a budget and can’t travel far, think about going on a local road trip and visiting a few nearby places that you haven’t been to yet. Find a park, zoo, beach or lake for some peaceful family time away from home. 7. Grateful Jar: Have kids AND parents write down what they are grateful for on slips of paper and keep them in a jar in the living room. This reminds the family to appreciate the little things in life and creates a more positive mood at home. You can even dump the jar out on Sunday nights and read out loud what everyone is grateful for. Then start the jar again in the new week! 8. Create a Vision Board: A family vision board is fun to make. Get creative by using old magazines to cut out letters and pictures for your vision board and place the board where everyone can see it each day. Each child can create a mini vision board too for their rooms. Setting goals and envisioning them happening is a huge part of achieving those goals. 9. Try something new: Don’t stick to the same old boring routine if you feel like your family is in a slump. Mix things up by having a family game night, going to eat at a new restaurant, or trying a new hobby together. It’s good for kids to have new experiences and by trying new things as a family it brings you closer together. Also, stepping outside your comfort zone makes us happier. 10. Designate a family fun night: Choose one night during the week for the family to have fun together. You can watch a movie, play games, or do both! Family members can take turns picking the movies and games and you will find that everyone looks forward to this one night each week when you can forget about daily responsibilities and just focus on having fun. 11. Volunteer and give back: Volunteering is a good way to teach kids how to care for others, how to be humble, and to appreciate what you have. Teach kids about random acts of kindness and show them what little things you can do to say thank you to those who help us out every day. Show your kids that it’s nice to hold doors open for others, say thank you when others do the same, and offer help when someone is in need. 12. 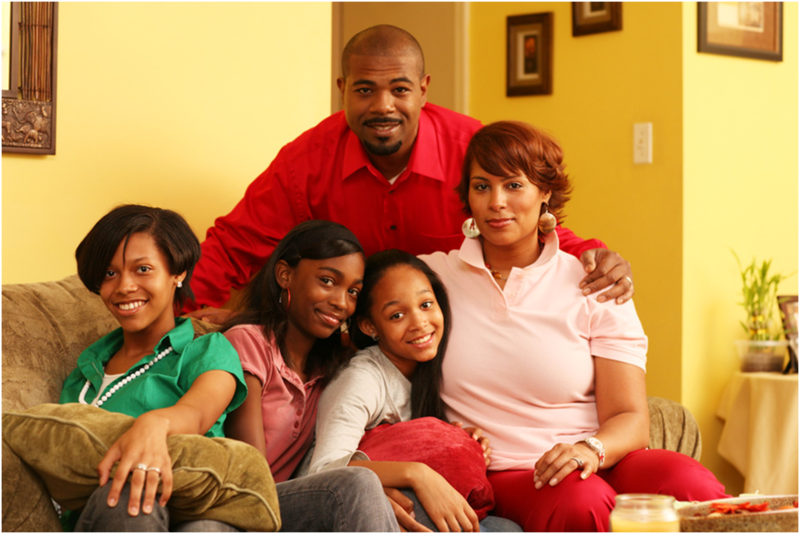 Share your stories: At the dinner table each night, encourage every family member to talk about their day. Ask kids about what happened at school, with their friends, and what they’ve been learning. Also share with them about your day, even if nothing particularly interesting happened that day. Kids want to know that their parents care about their day and that they are excited to listen to them. Sharing your experiences and knowing what’s going on in each other’s lives keeps the family closer.